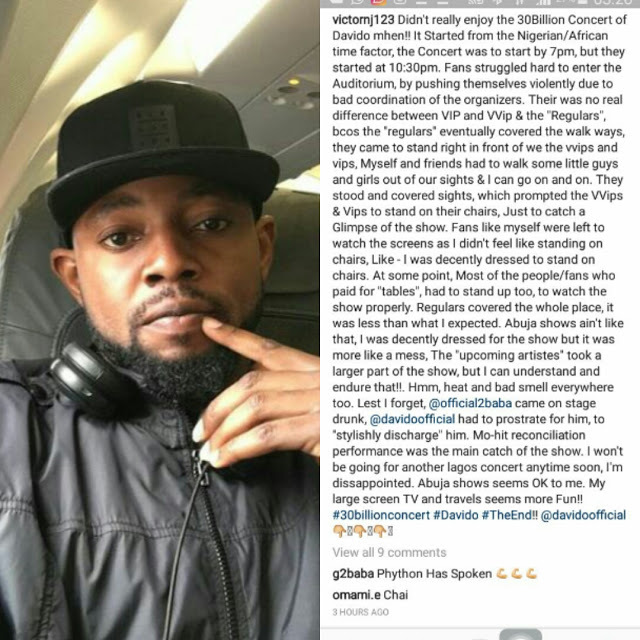 A Nigerian man by the handle Victornj123 has taken to Instagram to revealed his dissatisfaction after spending fifty thousand naira on Davido concert ticket & did not find pleasure in his experience. 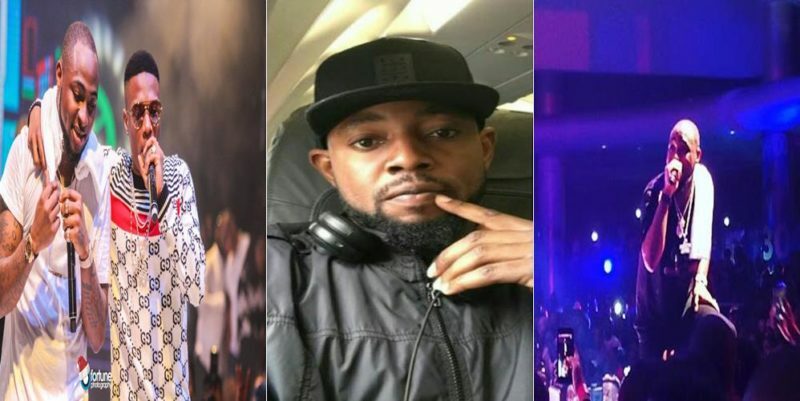 “Lest I forget, @official2baba came on stage drunk, @davidoofficial had to prostrate for him, to “stylishly discharge” him. Mo-hit reconciliation performance was the main catch of the show. I won’t be going for another lagos concert anytime soon, I’m dissappointed. Abuja shows seems OK to me. My large screen TV and travels seems more Fun! 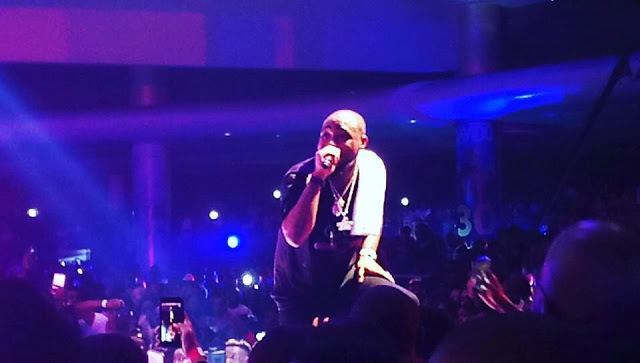 !”#30billionconcert #Davido #TheEnd!! @davidoofficial 👇🏾👇🏾👇🏾..